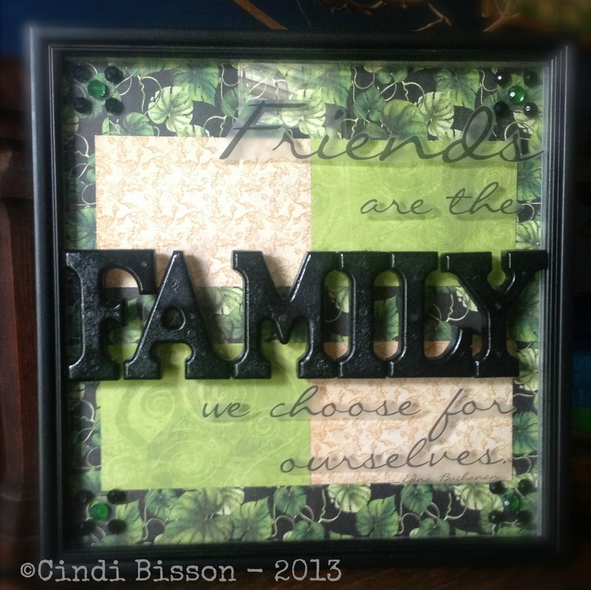 This framed mixed media art shares a heartfelt message – friends are the family we choose ourselves. I brought a beautiful selection of papers, crystal beads and Smoothfoam letters together inside a lovely shadow box. Click here for my project instructions. This entry was posted in Home Décor Crafts and tagged Black/Gray, Green, Letters, Sign, Wallhanging by Cindi McGee. Bookmark the permalink.